Introducing….. Christie! 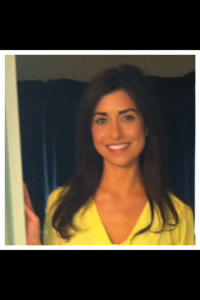 Christie P. is our new and fabulous Treatment Coordinator at Advanced Dental Care in Costa Mesa! Christie has extensive experience with the dental field and coordinating treatment options personalized to every patient’s needs. In fact, Christie P. started out in the dental field after high school as a dental assistant. She quickly gained interest in helping patients achieve the healthy and aesthetic smile they were looking for by studying treatment options, dental insurances, and financial options for patients. To find out more about Christie P., Dr. Jeremy B. Jorgenson, or Advanced Dental Care, please contact one of our awesome staff members at (714) 424-9099 or visit us at www.mycostamesadentist.com. You’re also welcome to drop by anytime! We are located at 3033 Bristol St. Ste. AA., Costa Mesa, CA 92626.